First Place Tower is one of the finest and most recognizable buildings in downtown Tulsa’s skyline. At 41 stories with newly lit signage at the top, it is the fourth-tallest building in Oklahoma and the second-tallest building in downtown Tulsa. It sits between Fourth and Fifth streets on the west side of Boston Avenue with frontage on the main pedestrian mall. With proximity to many restaurants, retail and entertainment venues, this beautiful Class-A building is an ideal business location. 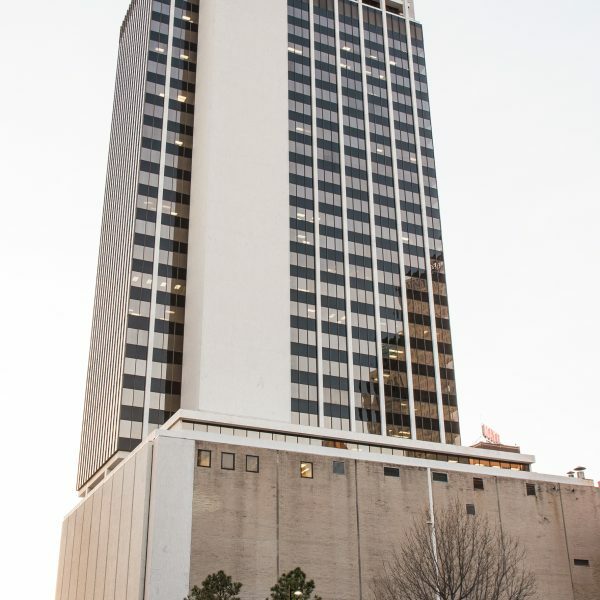 The Bank of America Tower is a premier 32-story office building located in the heart of downtown Tulsa at Sixth Street and Boulder Avenue. This is a coveted building address for businesses large and small, old and new, across a variety of industries. 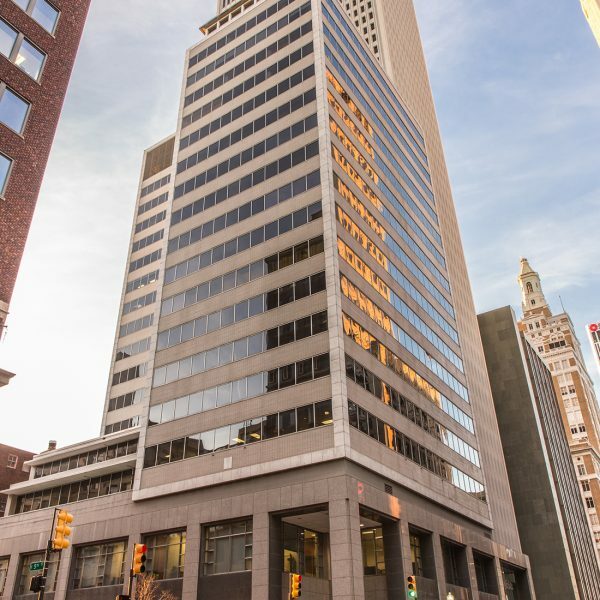 The Bank of America Tower offers quality office space in a prime location with premier, professional management and maintenance. On-site management prides itself in providing first-class, personalized customer service. The Bank of America Tower also has on-site security with a guarded concierge/security desk. The lobby features polished marble and modern light fixtures and finishes. This beautiful, prominent building is an ideal business location in a thriving professional community. • On-site snack shop located on the 8th floor, serves breakfast and lunch daily. • One of Tulsa’s most prestigious clubs, the members-only Summit Club, makes its home on the top three floors. • Bank of America located in the lobby. • Located within 2 blocks from the Tulsa County Offices which includes the county and federal courthouse, county library, downtown post office, civic center and civic center parking garage and the police headquarters. 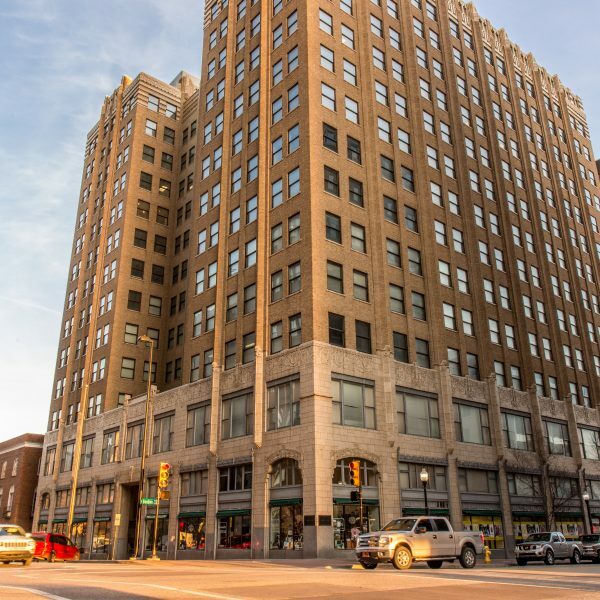 This 15-story building is located at Sixth and Main Street featuring an elegant lobby with marble flooring and walls, a fountain, glass atrium-style ceiling, manned security desk and full-service directory. In addition to a large furnished conference room, tenants also have access to a fitness center with HDTV, state-of-art exercise equipment, showers and locker rooms. Attractive amenities, prime location and upscale finishes give Park Centre its prestigious reputation. • Park Centre Building is located near the center of Bartlett Square. • A bit of nature and green space amidst the concrete landscape of downtown is just across the street at the H.A. Chapman Centennial Green Park. • Proximity to several parking garages. • Various restaurants, salons, banks, a humidor cigar shop, hotels and the courthouse within walking distance. Located at Fifth Street and Boston Avenue, the Philcade sits in downtown Tulsa’s business and financial district. The Philcade is comprised of three interconnected buildings that share a lavish lobby that was built in the shape of a “T” for Tulsa. The lobby has polished St. Genevieve marble, elaborate chandeliers and arches that form a ceiling covered in gold leaf and hand-painted geometric designs. The exterior of the building is covered with carved terra cotta and cast iron veneer. This Art Deco-style building is also high-tech with its Energy Plant and Data Center space. The Philcade provides an excellent value for companies seeking secure, modernly equipped space for the needs of their workforce. • Topeca Coffee, a local coffee shop, is located on the first floor and serves coffee and light bakery items. • The Philcade lobby on the first floor offers free Wi-Fi services. • 24/7 security located in the Philcade South building lobby. • Convenient covered parking is available nearby. • Residential loft apartments are located within walking distance. • Located just across from the Courtyard Marriott hotel located in the Atlas Life Building. • Tulsa’s newest green space is just across the street from the Philcade, H.A. Chapman Centennial Green Park. The Petroleum Club Building is located at Sixth Street and Boulder Avenue, a highly central and accessible location close to a plethora of amenities. 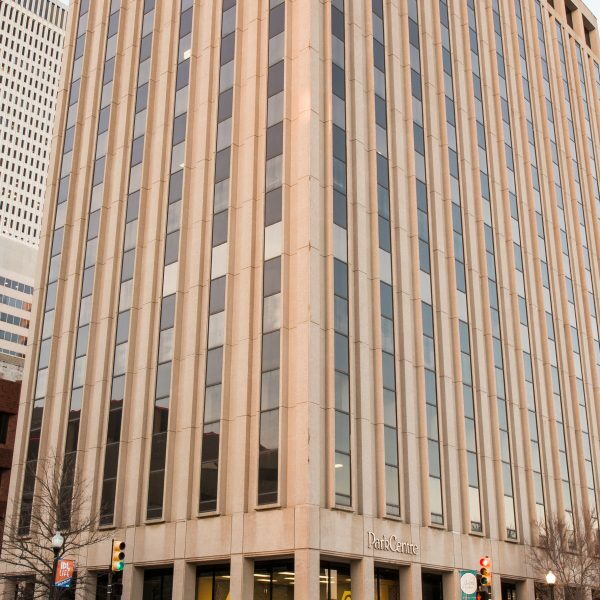 This building offers distinct, personalized corporate or individual office space in the center of downtown Tulsa. The spacious lobby features attractive finishes with polished marble and updated fixtures. 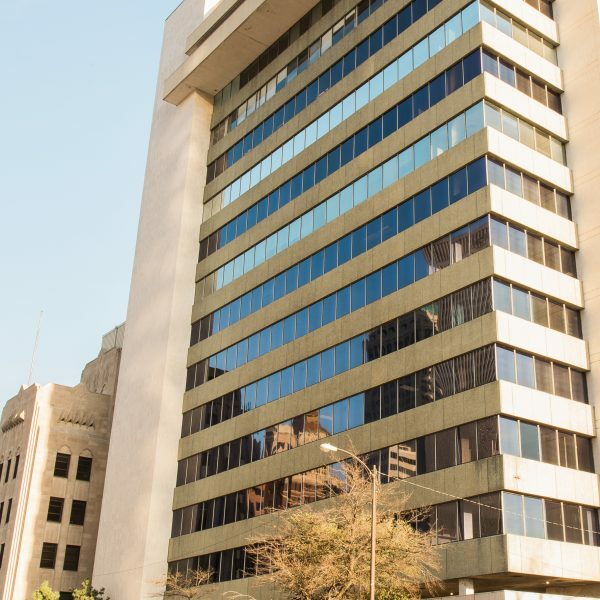 With 24/7 building access and 24-hour maintenance, the Petroleum Club Building ensures your needs are always met. • This building has a multi-level parking garage on site that provides valet parking services. • Several banks nearby include Bank of America, Arvest State Bank, JPMorgan Chase, Midfirst, Bank of Oklahoma (BOK) and IBC Bank. • The Petroleum Club Building lobby conveniently provides many service establishments for tenants including Subway restaurant, which serves breakfast, lunch and dinner.